For this week’s challenge, share a photo of something pure — it can be a person, an object, or a moment. “Pure” can convey wholesomeness, something undiluted, or simplicity. Pure is the theme of this weeks photo challenge at the Daily Post. I can’t pinpoint why this photo evokes a sense of purity for me, it just does. Of course a white flower will always do the trick. And this rustic cross is pure simplicity. You can join in with Jen’s challenge at the Daily Post here. This is Jen’s prompt for the weekly photo challenge over at the Daily Post. Everything I see outside my window is grey, and dank. Maybe this weekend there’ll be some sunshine. Meanwhile on Tuesday I went out for supper straight from work. Lots of you know that in summer, I often head to the coast after work for fish and chops and Pimms, I’m really looking forward for that season to begin. What can we see through the window, maybe a closer look. 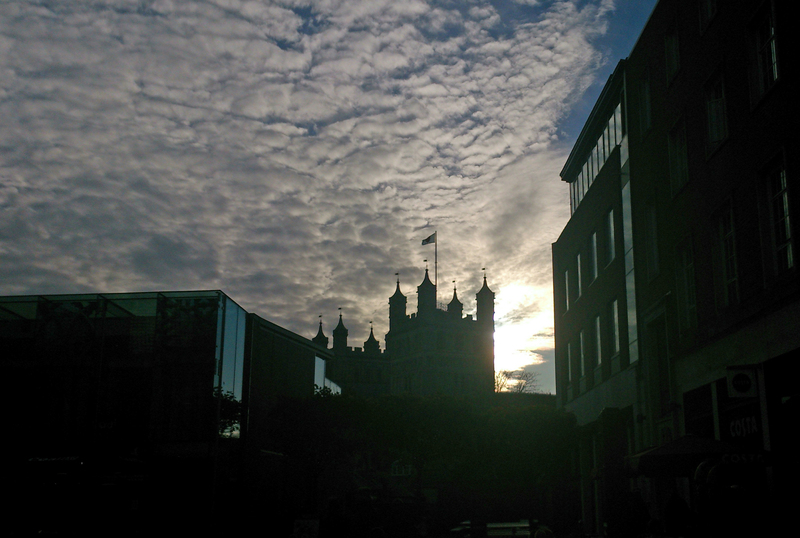 The Cathedral looking beautiful at dusk. The restaurant was nice, I wondered what it was like in the Christmas season. After delicious food, we wandered up through Catherine Street, where the ruined chapel is lit up in the gloom. We walked along Egypt Lane, past this colour changing window gap. and a whole row of restaurants, with lots of outside seating, but it’s not the season for al fresco dining is it now? Cheri Lucas Rowlands has been to Hong Kong and was impressed by the serenity of the big Buddha in Ngong Ping, on Lantau Island. Cheri challenges us to interpret serenity in photos. I’ve posted about St Peters Cathedral in my home town, Exeter, before and I probably will again. Today it was the first place I thought of as serene, what do you think? There’s no need to look very far to find zigzags, most towns and cities will have architectural features that meet this weeks photo challenge. 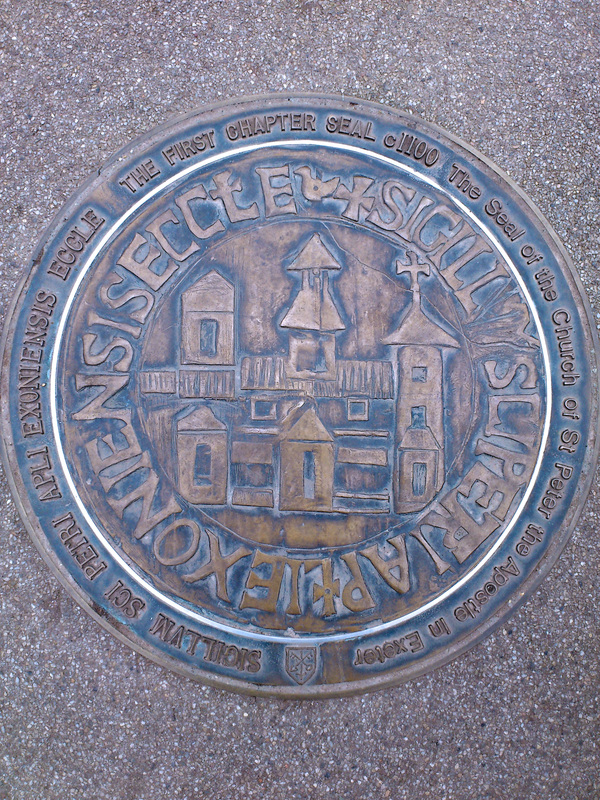 Apart from some natural zigzags, mine are all photos taken in Exeter Cathedral and surrounds. Windows are everywhere. Depending on where you are — your bedroom, your office, a hotel room, or a tiny tourism office overlooking a lively street in a beach town in the Dominican Republic, shown above — a window can reveal different things. They are portals into the world’s stories. Glimpses into other people’s lives. Looking out (or into) a window can tell you about where you are — and where you’re not — and mark a particular moment in time, linking you to a physical place. Windows are also enablers of our daydreams and desires, and can stir up memories and big ideas. This week, in a post created specifically for this challenge, share a photo with a window, say Cheri Lucas Rowlands at the Daily Post. This photo was taken on a balmy summer evening from inside one of my favourite restaurants. 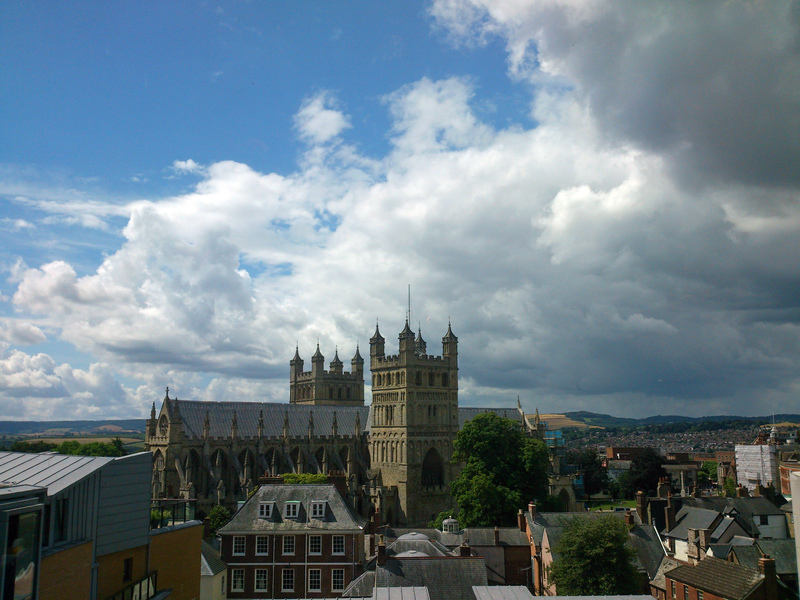 It is looking across the green at the Norman Cathedral of St Peter, here in Exeter. 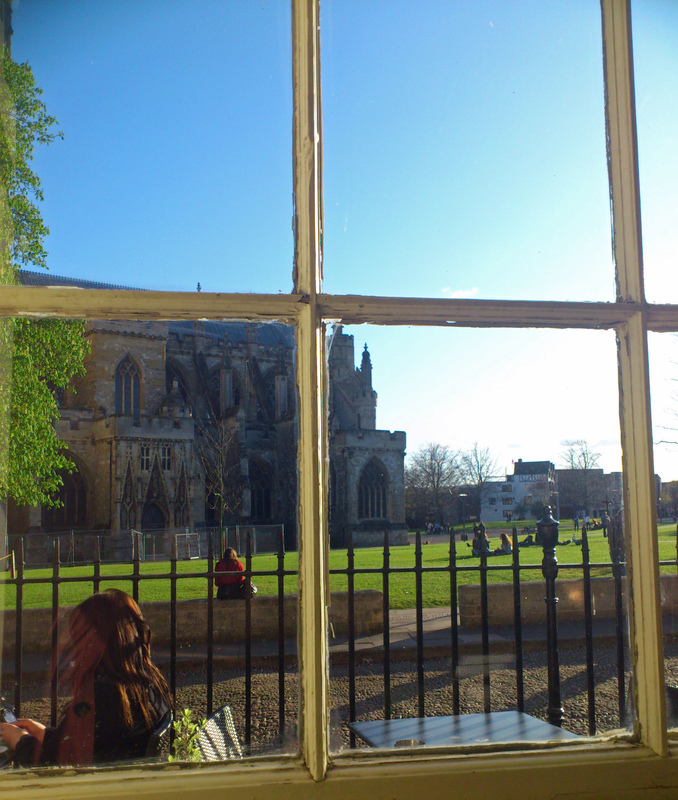 There can be few better views to enjoy while waiting to be served and the photo – with my phone – doesn’t do it justice, so you’ll have to imagine the rest or search my tags for other posts about the cathedral!